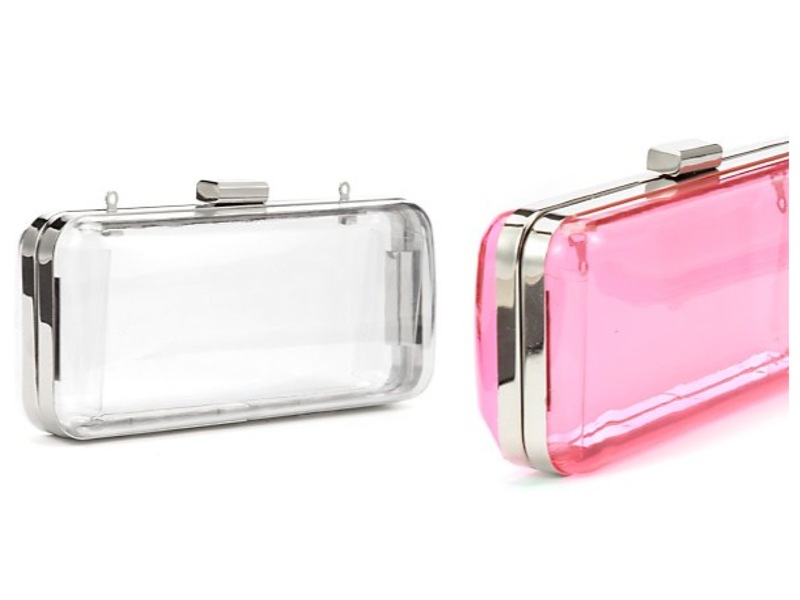 PERSPEX. How do we feel about it? Well, for one, if it's going to continue to rain then I want precautions in place. Waterproof precautions. However, 1) I don't want everyone seeing what I'm carrying around with me - I don't really have anything to hide but then again some things just need to stay private right?! - and 2) transparent isn't a colour so we need to find a way to have a little fun with this. Below are some ideas that may just about solve these two dilemas. 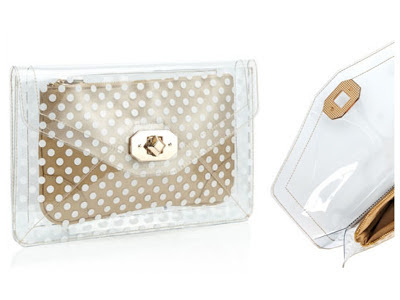 What are your thoughts on perspex bags? Yey or Ney? I have a feeling I may be a YEY. How did I get convinced? 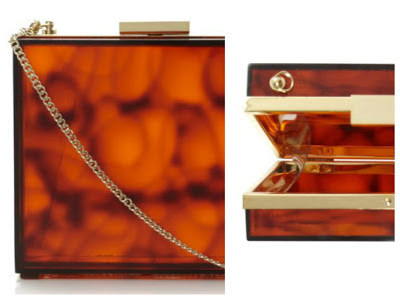 Check out Charlotte Olympia's elegant perspex clutch box - Pandora, £454. If this doesn't convince, I don't know what will. There's also this croissant one and this spider one if the classic Pandora doesn't tickle your fancy. 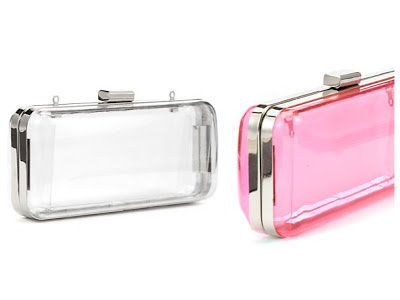 If your budget doesn't quite stretch to half a grand, then below are three cute perspex bargains for under £100 currently on the high street. As for the inside pouch, I think there are lots of ways you could spice things up be it with make up bags, wallets or purses - get creative and you'll be good to go!